Sam’s love for Western-style shirts is in full force here, with this plaid shirt with a subtle little rope detail. It’s another snap up, in a sort of light purple grey plaid. It does not have breast pockets, and the plaid on the shoulders runs the same direction as the rest of the shirt. In Sin City (3x04), Sam wears it from the beginning of the episode until Ritchie is killed. 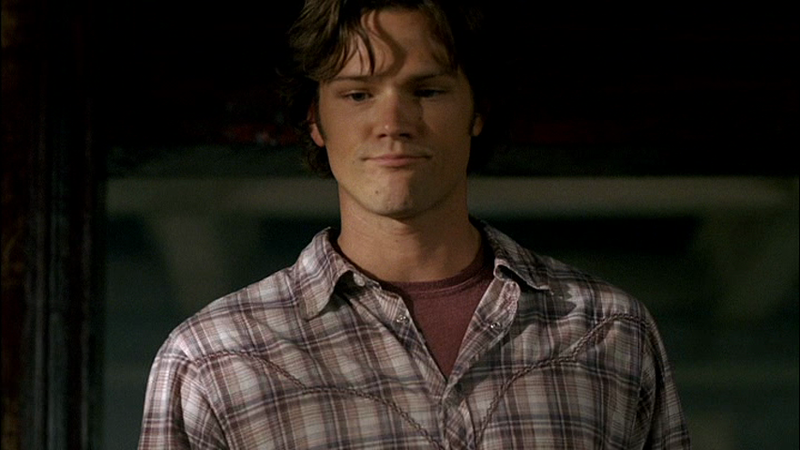 In Mystery Spot (3x11), Sam wears this shirt on every single one of his Tuesdays. In I Know What You Did Last Summer (4x09), Sam is wearing it at the beginning of the episode while he hustles pool and then talks to Ruby. 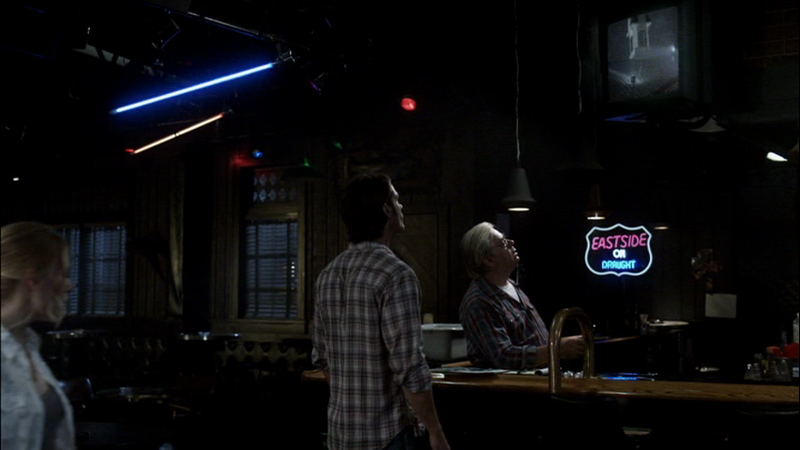 In Free To Be You And Me (5x03), Sam wears it when Lindsey challenges him to a game of darts and he sees the news reports about the freak weather nearby. In Frontierland (6x18), Sam wears this shirt when they research in the Campbell library.